EMPLOYEE ENGAGEMENT, CONTEMPORARY SKEPTICISM, AND OFFICE POLITICS"
I'm an organizational sociologist, strategist, writer, and teacher, but am—first, foremost, and always—a student of enterprises and those who lead them. In my 2007 book, Cultivating the Strategic Mind, I explored the transition from leader to visionary, creator, and architect of strategy. Today, I continue studying strategists and leaders but am increasingly haunted by what I see as a more fundamental, personal quest: understanding and improving the dying sub-disciplines of management, whether time, conflict, self, or life-management. Leadership gets a lot of glory, but management is the nuts & bolts practices of every day that gets it done. Fireside (which admittedly began as a series of ruminative 1 ½ to 2-hour one-on-one conversations with seasoned management executives reflecting on their life’s work) quickly evolved into dialogues about work within the context of life and life after work. This ricochet took me by surprise, but I found it an exceedingly pleasant one. After all, “Though we hire employees, we get people.” My sincerest hope now is that—in an oft-discouraging world—Fireside might prove a respite, a source of light, warmth, energy, encouragement, safety, nourishment, perhaps even inspiration in your own career or life, whether at home or out in the big, bad world. Around the fireside at the end of the day, it’s clear that we are all in this together, and everyone has a story worth sharing and hearing. You will be the ultimate arbiter, of course, but I predict we shall learn a great deal about management, yes, but even more about ourselves and this enterprise we call life. 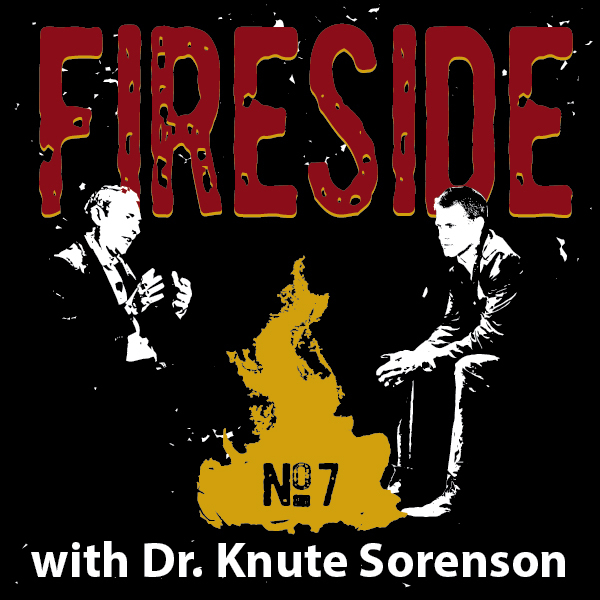 Today's guest is Dr. Knute Sorenson. Knute brings 35 years of business experience to today’s one-on-one. He worked at White Sands Missile Range for two years and Public Service Company of New Mexico (PNM) for 28, 18 of them in various management positions. At the time of his retirement, he was the Director of Business Improvement, which included the Project Management Office, Operational & Organizational Analysis, Quality Programs & Initiatives, Human Resource Development & Training, and Disaster-Recovery groups. In addition to his internal assignments with PNM, he was on executive loan to State government and numerous non-profit organizations for strategic planning, business planning, organizational analysis, and organization evaluation. He has given numerous presentations to various regional, national, and international organizations. 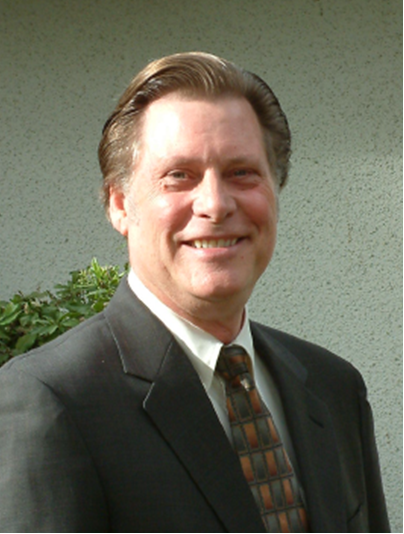 He has published four papers for the International Project Management Institute. For the past 20 years, Knute has advised dozens of organizations in business planning, project management, quality initiatives, organizational/operational analyses, and managerial/executive coaching. Knute retired from PNM in 2002. At that time, he became an adjunct professor with Southern Illinois University at Kirtland Air Force Base and continued consulting, particularly with organizations interested in change and requiring pragmatic solutions. During this period, he finished his PhD. While the primary focus of his graduate program was Organizational Learning, he expanded his expertise in Action Learning, Knowledge Management, and Organizational Dynamics. Today, he teaches Project Management in Embry-Riddle Aeronautical University’s graduate program, and teaches for Wayland Baptist University in their graduate Management program. He remains very interested in how organizations consciously use and inventory knowledge and skills, seek to retain this critical knowledge during periods of high uncertainty, and quickly access such wisdom. The retention and management of talent has proven to be very important to organizations experiencing layoffs, high turnover, and/or high levels of change in their business. It is his desire to assist these types of businesses in maintaining their existing expertise while moving forward in the ever-challenging business environment. Knute and his wife, Bobbie, make their home in Albuquerque, New Mexico. They spend much time with their grandkids and enjoy gardening, reading, and being with their friends. Blake Leath: Knute, thank you for your time today. You were a senior manager when we first met twenty-five years ago, and today you’re a professor, coach, and successful program and project manager, but we’ve never talked about your ‘origin story!’ How did you first get interested in leadership, management, employee development, and corporate change? Knute Sorenson: I’ve really reflected on that in the past 10-15 years, but I think to understand it, we have to go way back to the 1970s. Blake: No problem. I remember the seventies! Knute: [Laughter] I’m sure you do! Well, it was just a completely different time. The whole business culture was different; change processes were different. I don’t know that I’ve ever told you the story, but a colleague and I were co-project managers tasked with breaking up our electric company into regulated and non-regulated business units. I could not get our COO of Electric engaged in the change process with its impact of the organizational culture. I had recently seen Joel Barker’s The Age of Paradox video, and it was spot-on with what we were trying to do, so I shared it with him. He enjoyed it, but joked, “Knute, you’re stranger than I thought you were! While I think it’s interesting and I see the relevance to what we’re doing, I just don't see the magnitude of impact that you see.” [Laughter] Soon after that, I was in Santa Fe with him and his senior leadership team. Going to dinner with him one night, he described his career—and I noticed that he was a changemaker in every position. I told him, “You've, got me stumped. Everything in your career is about change, but I can’t get you energized about the change here. What am I missing?” He looked at me like Master Po talking to Grasshopper and said, “What I did in 35 years, you’re asking me to do in five. I can’t do that,” and that description of the compression of change over time was a real revelation to me. Sure, we’d talked about it, but in that moment, it hit me in the gut, so it kind of set me off on a journey of discovery to better understand the nuances of social and organizational psychology of large businesses. Blake: Fascinating. Talk to us about that journey. Knute: So let me back up then, and give you a prelude, because I think the beginning of my journey is similar to many people’s. I think we spend our first fifteen to twenty professional years trying to “credential” ourselves, gaining competence, knowledge, and skills so we’re efficient at our particular business and professional discipline. Along the way, we’re building these abilities, but we also push a lot of things to the side, one of which is identifying who we are. I think it’s foundational, but something we can overlook on our way to the top. The same can be true for managers who become technically competent, even managerially competent, but don’t particularly know who they are or what they stand for. So, this is where I was. I’d reached this fork in the road, and I sort of split from where some people go. I’d developed a very solid foundation in management understanding, in HRM systems, accounting systems, budgeting systems, even the organic processes of a company. The next step, for me at least, was to proceed beyond credentials to a very personal maturing process—to wisdom, to seeing the bigger picture. I began to make a shift, asking myself, “How can I use these skills to inspire myself and others?” This is where leadership kicks in heavily. Management is the foundation, the backdrop, the launching pad. Without it, I don't believe you can get to real leadership. Blake: How many people do you think make this transition, from credentialing to wisdom? And to seeing how essential management is for leadership lift? Knute: I’m not sure. Last night I was teaching a change management graduate course and a young manager said, “You guys all look very successful, but I just feel like a failure and so alone.” He’s not alone. We had an open discussion in class where we all talked about going through ups and downs in our careers, and sometimes change can be very isolating. Like a lot of things, sometimes the first step is coming to terms with what’s going on, how you’re feeling, why you’re feeling that way, and why you think something’s happening. I talked to him about how change itself affords us an invaluable learning opportunity. And that he can be stronger through it if he learns to hear his own “self-talk,” and to combat those demons in his head. We’ve all been to a similar rodeo. You’ve got to ask, “How do I pick myself up and start a new path?” because the blocking and tackling of management—the foundation I described…the technical things—won’t be enough. They’re just the starting point. I’ve learned this over decades, this recognition of what we’re feeling in change, and what to do about it. It’s not unlike Kubler-Ross’s research and insights, as well as empathy. We’re all more effective at being able to inspire and move people, and engage people, especially when we recognize the soft-side of corporate change. Blake: You’ve described your journey that began with John. Were there other inflection points in your career? Other teachable moments? Knute: Right. Another wake-up call, another inflection point, another teachable moment! Through my career, I’d developed a reputation for having favorites, and came to grips with it toward the end on my career—a late realization for me. I used to spend 80% of my time with the 20% who were having difficulty working through change and wanting to excel. I always wanted to excel and, I, of course, believed everyone wanted to excel, which I finally realized is not true. I eventually learned that what mattered most was getting everyone to work ‘on mission.’ People get engaged when they have shared purpose and can align to something. They like to push past their personal boundaries, but they don’t have to be right. These are the people I want to engage with, because it makes work fun. That’s what I do in my role as a professor, too. Try to meet people where they are in life, make a personal connection, facilitate their engagement and personal growth process. Blake: Are you still learning? Knute: Every day! One of the best ways to learn is hands-on. I’ve actually learned a lot with my grandson, Carter. I love doing things with him. He’s such an insightful young man. Parenting—and being a grandparent—may be the best school in the world. I remember one time when Carter was learning to drive, he clipped the fender of my wife's Lexus in the driveway. He felt just terrible—totally distraught about it—and I said, “Look, everything’s okay. You just bumped it. What’s your learning out of this?” He said, “Grandpa, I was just so focused on that bush,” and he continued, “but now I know to look all the way around me when I'm moving!” My response was, “If what you learn from this is to look around, then it’s completely worth it because you’ve learned something about focus.” As people, we often beat ourselves up, but whether it’s management, leadership, or grandparenting, keep everything in perspective. Learn from it, then roll past it. Knute: I’ve taught project management a lot of times, and I’m always reminding people, “You’ll learn more from your failures than your successes.” So if you’re not failing…you’re not pushing yourself enough—you’re not learning. Go out there and really push and challenge and be open to criticism. Learn the mission and find the boundaries.” I don’t want people to be aggressive, but to be assertive. Challenge yourself, others, the status quo, push beyond what you are comfortable with. Blake: What has taught you the most about yourself, then, and working with people? Knute: Too many to mention, but I remember one time—decades ago—I sent my team members to a workshop on team dynamics. My secretary at the time said, “You’ve got to go too, buddy!” So, in the workshop we had a large communal group (about 60 participants) and subgroups (T-groups) of about 12 participants with a clinical psychologist or psychiatrist as a facilitator. In our T-group, our facilitator opens the week saying, “There are no rules. And my only role is if somebody goes stupid, I can help them!” So he just stepped back and watched the participants interact—“Who’s in charge?” “What are we doing?” “Which way is up?” “Who elected you king or queen?” We’re there for five or six days, and it was just amazing to see how we evolved through this group development process. Membership, subgrouping, and all that. On about the third or fourth day, our facilitator had us do an exercise where we gave feedback to one another, like in a fishbowl. Each person was in the fishbowl and everyone gave that person negative feedback, but it had to be in three parts: (1) A specific event or situation we’d both experienced, (2) Talk about that person’s behavior, and (3) Talk about how it made you feel, and the impact on you. The person in the fishbowl could ask clarifying questions, but could not do any explanations or justifications. As you can imagine, it was terrifying! All this anxiety about being in the barrel and getting negative feedback from the people on your very own team. When it was over and we were doing a general debrief, we all agreed that it was the best feedback we’d ever gotten in our lives because it had specificity to it, it captured our behaviors, and we understood how it impacted the other person directly. I learned through that process that we typically judge others by their behaviors, and we judge ourselves by our intent. Blake: That’s a huge revelation, yes. Knute: And it’s so rare we explain what our intent is, but boy, we sure are quick to judge others’ intent, aren’t we? So, it was revelation for me. We learn through our career that giving feedback has got to be ‘constructive’ or to give feedback like a sandwich: positive, negative, positive. But feedback should just be feedback: focus on those three things, then, allow the other person to ‘judge’ the feedback. Blake: Do you mind sharing what your team’s feedback was to you? Knute: Look at me; make eye contact. When I come into your office and you’re on your computer, turn to look at me. Lots of great specifics like that. I committed to everyone on my team that they could give me whatever feedback they wanted, that I would think about it for 24 hours—really process it before I respond—and that there would never be any repercussions for giving me tough feedback. This became a norm within our group between all members. Another thing I learned was about trust. Sometimes I knew things, and they thought I knew them…but weren’t sure. We came up with this thing where they could ask me anything, and it’d be okay or fair for me to say, “Yes, I know about this; I just can’t talk about it.” What a positive impact that had on the whole process. When I teach classes now, I tell students, “Don’t just check a box in here. Really open yourself up. You may be surprised how much you learn, and what a difference it can make, not just in your professional career, but in your life.” That week with my T-group was transformational. Having sent my staff to this workshop and going myself gave us insights into our careers, and especially for me as the manager of a highly competent team. I always try to remember that from any learning opportunity I have, I try to get one or two gold nuggets that I can use. Blake: You mentioned engagement earlier, and how people perceived that you primarily engaged favorites. What do you think facilitates or fosters engagement in the workplace? How do you engender it? Knute: I think several things. First, a clear vision…a clear sense of purpose. People can’t engage if they don’t know what they are doing, why, and the value of their contribution. Second is clearly understanding the competencies needed to get there. Willpower is not enough. People have to actually be able to do the thing. Third is the mechanical process for actually going from here to there. Fourth would be a strong diagnosis process. A team, a group, any organization has to face facts, be real, and start with truth. And the last one, I’d say, is a willingness to be wrong. Sometimes we get so locked into an idea, a bias, a way, a direction, a paradigm, and we need to be able to adapt our mind to others’ frame of reference. They might surprise us! I think blending all these things together…vision, the ability to pull it off, process, diagnosis, willingness to change your mind, and helping people over boundaries that can be limiting. I think as a boss, a coach, whatever, helping people do more than they ever thought possible…pushing past boundaries and barriers, is part of your job description. Blake: Have you ever experienced a limit to this? To people’s potential? Knute: Sure. And I think we have to be careful, too, to not veer into psychoanalysis. You get into that with a work team or an individual, and boy, you’re in some deep doo-doo. I think really appreciating the boundaries, what’s in-bounds and out-of-bounds. You want to know people, their limitations, and really press them, but not so far that they need an EAP [employee assistance program]! But most importantly, if someone needs EAP, get them with professionals for proper help. Blake: To me, this is just EQ. Self-awareness, and seeing the lines. Knute: Keeping it about the mission, the work, and bolstering a team’s confidence to make the leap without breaking their egos in the process. As the person in charge, it’s important to see gaps and close them, but to also know people’s breaking point and comfort zone. You need to be really aware of yourself and the effect of your agenda on their psyche. Blake: I think employee engagement has undergone a transformation in the past couple decades. Knute: You bet. In the 70s-80s, it was very much about, “You’re here, you’ve got a job, these are the metrics, so let’s go do it.” Today, the social contract with employees is completely different. They expect way more, or they’ll pack it in and pursue something better with someone else. The grass is always greener. Blake: In your forty years as an influencer, how else have you seen the world of work evolve? Knute: I think the real change I’ve seen is predictability. When I started, there was predictability. There’s no predictability now. I vividly remember a leader in one of my earliest companies, Ernest. He took over employee development and said, “Knute, I’m thinking about changing the paradigm of my Employee Development Department from ‘employment’ to ‘employability.’” I said, “Sounds like a play on words. Tell me more.” “When we started out,” he says, “you and I had employment and were secure. We knew our career path, what we had to do to get there, and could bounce around and really enjoy a career. That’s gone. The onus of an individual’s career is no longer on the corporation, it’s on the employee. The person. Let’s help people become more employable, so they have more options as we expand.” It changed everything, from how we thought tactically, operationally, and strategically. Since that time, I’ve devoted my entire career to helping people become more employable. Blake: What have you learned from that specific paradigm shift? Knute: I got my first full-time job in 1972. If you looked at somebody’s resume who had a job every two to three years, you’d never hire them because you knew they were a bad investment. Today, if you saw a resume like mine, where someone had served 30 years in one company, you’d say you’d never hire him or her because they’re dead wood! “He’s too comfortable.” Everything is turned on its head. I remember, early in my career, getting ticked off when people would leave, only to return and be re-hired two to three levels above where they’d left. “So much for loyalty,” but that’s the game these days. Loyalty doesn’t matter so much to companies anymore. What matters is value. “What value can you bring the company?” I tell my students all the time, “The longer you’re with one company, the less value you can bring.” When interviewing for a job, speak to the value you can bring. It’s a gamechanger and, really, it’s the only thing that matters. Blake: I think we’ve seen that over and over again. Knute: So often! I saw a story the other day about an employee who loved to bake cupcakes, but was really challenged in her actual job. She was great at hosting and organizing and baking cupcakes for people. So, the company saw this and created a new position, and now she’s using those skills to help other teams with refreshments and goodies. That’s value. She brought value, and the company found a way to tap into that value, to leverage it in a non-traditional way. We’ve seen that again and again. Companies making moves to be—or remain—an employer of choice. Blake: When you’re teaching your classes, and working with working adults in particular, what’s on their mind? What do they ask? What do you see as the top two to three things they’re worried about, or wanting to learn? Knute: Employability, of course. How can I eat? That basic paycheck is still key. But also, how can I enhance my life? Enrich it? Make the eight to ten hours a day more fun? Work is work, of course, so I think we all need to have proper expectations of it. Some people are just gripers. It can be a beautiful day, but they’ll find something to gripe about. I try and hold a mirror up to those people and remind them, “Wherever your energy goes, your heart goes also.” Some people need a lot of recognition. I’m also spending a lot of time with folks making the transition from military to business. They wonder about the differences. A lot of them have great fundamentals, but they just don’t know how they’ll apply them or how they’ll translate those skills in the business arena. I think military folks bring tremendous value to companies. They just have to learn how to ‘show up’ differently. Blake: Can you give us an example? Knute: I remember one time I was describing how HR is an essential business partner. This one Airman totally didn’t understand that. I spent 45 minutes explaining it, and he still didn’t understand. Eventually, he described how he was in charge of all the airframes at the Air Force base. I knew he knew the lingo in the military, so I finally equated the HR business partner to being a liaison with a vendor. That clicked for him, because then he understood how important it was to understand HR from the vendor-liaison point of view. It’s just little things like that. Blake: Do you have any general observations about today’s learner? I find them to be increasingly skeptical. Knute: Yes, I find more people are doubtful these days because they wonder whether their leaders have the intestinal fortitude to actually make change, and wonder whether their bosses will even be around in another two years to see things through. Blake: How do you address this? Knute: For starters, I try and keep things simple. You know how much I love complicated models, so sometimes I’ll do something as simple as a 4-block, something very pragmatic. Also, I try and help people see their microcosm in the macrocosm, especially if they’re part of a big corporation or bureaucracy. It’s always helpful to focus on one’s locus of control, so if I can help people see how their fractal is part of a bigger whole and their ability to influence that whole, that can be helpful…not just for individuals, but for the teams they lead or participate in. I also think it’s easy for people to get discouraged, especially when they feel helpless, like they don’t make a difference or can’t contribute perhaps in rich, meaningful ways like they’d like to—this is a very important issue regarding personal value. The other side of ‘death by a thousand cuts’ is that there are also a thousand different roads to explore. While some lead up and out of the valley, many are dead ends, so I encourage people to just keep plugging away and to learn on the journey. Blake: Never underestimate the value of perseverance. Knute: You get out of it what you put into it, so just keep swimming! I think another key is honesty. Today’s learner has probably been fed a lot of malarkey by bosses who didn’t come through, so there’s a lot to be said for being a straight shooter. No politics. Talk straight. And it starts at home, by being honest with oneself. I really think, in all honesty, we keep coming back to EQ because it’s so crucial in so much of this. The more you understand yourself, the more significant you’ll be to yourself and others. Years ago, I remember reading Stephen King’s Insomnia. It’s one of those enormous books that keeps you up all night. My wife asked me one night at 1:00 AM, “What the hell are you doing?” and I said, “It’s so good; I just can’t put it down!” Next thing you know, she’s reading it too, and she couldn’t put it down either! We both got insomnia reading Insomnia, but one of the premises that was so interesting to me was that our role in life may be to just give a tiny nudge to someone who can achieve something big. Life is surely like that, but so is work. Sometimes it’s the tiny things, just encouraging someone, or helping them get on the right path. It can even lead to their finding their purpose in life. We don’t have to be the hero in the saga; we can be the person who helped the person be the hero. That’s pretty big also! Blake: We rarely know the full effect our words can have on people. Knute: Different things affect people on different levels. Some things get picked up, others don’t. You don’t have control over that, but if we never share our point of view, our perspective, our experience, our wisdom, then why are we here? At a minimum, maybe I can help people learn how to think more fully about their environment. Knute: Precisely. If you’re a thoughtful person, you’ll reflect on your life, take stock, and sometimes wish you’d done things differently, but the most important thing we can do is our very best with the information, knowledge, and resources we have at the time and place. This is excellence. Maybe twenty years later when we think back on the event and decision, we’d do things differently, but that isn’t the point. The point is that we learn, we get better, our skills improve, our perspectives change, we get wiser, we learn to weigh things differently, and life softens those sharp edges we may have had when we were credentialing on that steep learning curve. Blake: Any additional thoughts here before we pivot? Knute: Bob, weave, stay nimble, and be adaptable. Know that being 80% accurate is a great starting point. Pilot some things, get ‘em launched and out there, and see how the team, the company, the market responds. Fail fast, succeed faster. Knute: Yes, piloting things in your microcosm before scaling them up and rolling them out to the macrocosm. Blake: And these are all things within one’s control, from EQ and nudging others to talking straight, keeping it simple, and piloting things within one’s locus of control. Knute: And perseverance, and hard work, and keeping at it. I’ve been laid off, essentially fired, and these inflection points make you really reflective. Ruminative. It affords you the opportunity to step back, to do some navel gazing, to inquire, “Why did this happen to me?” Really search for the nuances. Things you maybe didn’t pay attention to before. Knute: The genesis of my own learning, my own maturing began there. It almost always begins there, whether it was John being Master Po, or Ernest describing a new paradigm, or my getting laid off. Blake: Connecting some dots, this reminds me of my Fireside with Bob Pennington at General Moly. He was essentially saying that he spent the first season of his career building and filling his toolbox, but that as he gets older he’s emptying it. Really finding that he only needs three to four tools. We talked about it as distilling, that my own professional journey has led me to this place of casting away and aside tools I feel actually get in my way now, and he confirmed that he went through the exact same experience. Knute: I agree with you both. Life can get really cluttered, and simple always wins. Knute: Nuance, not knowing everything, just knowing the right people or the right questions to ask. You don’t have to know it all, you just have to know where it’s at, and how to get to it! Blake: Another thing that’s intriguing to me is patience. The importance of patience. When I was young, I may have looked patient on the outside, but I was really impatient. The older I get, I’m mellowing out a lot. Finding that time is an axis we can use to our advantage. Let things settle, ferment, come of age. I’m more like a leaf on the water. “Let’s see where this takes us.” Don’t push so hard or lean into people so hard that they break. Knute: Yeah, the rabbit trails are great. Carter has actually been a really great teacher to me in this regard. I got down on his level, to his way of understanding. Not mine. It’s helped me be a better teacher, a better coach, and a better person. A lot more empathy and sensitivity to how will this translate to this person? Blake: Ain’t that the truth. In my own journey, with Lauren [my daughter], I never have an agenda. I just love being in her presence. I listen, and find that when I’m silent, that’s when she opens up, or will start talking about something on her mind that you wouldn’t otherwise know was worrying her, or bothering her. And of course you learn what she's excited about, into. Knute: You’ve hit a key point there, Grasshopper! Silence is a great teacher, and so is our response. Making it safe to talk, yeah, both our grandkids—Spencer and Carter—I feel they really open up to Bobbie and me because we’re listeners, no agenda, don’t judge. Blake: A third thing that intrigues me as I get older is tolerance. I don’t think I’ve ever been a harsh critic, but I’m even less critical now. Everyone is entitled to their opinion, to a bad decision now and again, and I’m not going to judge a multi-year relationship based on a few stupid hours or one screwed-up interaction. So they showed up and weren’t their best self. So what? In the big scheme of things, it’s immaterial. Chalk it up to a lapse in judgment, forgive, forget, and move on. Unless it’s a pattern, or something I feel I’m contributing to, or something that can only be solved through my stepping out of the relationship, I generally try to not hold it against someone. Blake: You’re throwing some wisdom fastballs, Knute! Knute: [Laughter] Like I said, Insomnia! It just takes those tiny moments, those nudges, like remembering what’s really important to change our lives. In all our years, Bobbie and I have never had an argument, but I remember one time I started to raise my voice and she chirped, “Oh, how romantic, our first argument!” Boy, that just popped my balloon! If something’s important to us, and we disagree about it, we really listen and understand the other person’s point of view, their intent. It keeps things in perspective regarding what’s really important. Blake: Excellent. That’s the self-awareness journey you’ve described, and how do I show up? In my interview with Lou Romero, he shared some of the same observations you have regarding what’s important, and those early years with our kids. Knute: What’s that saying? “Youth is wasted on the young.” They spend their time credentialing and doing important work, all while their life is passing them by. Knute: I’ve stepped in those same potholes, but it’s been a good journey. I did some really dumb things, but I think it’s made me stronger. A wiser person. Blake: What would you say has been your peak event, career-wise, and what did you learn from it? Knute: I think my peak has been these last ten years. My experience and ability to positively impact others in their own lives and careers. This sharing, transfer of learning, giving back. I would definitely say I’m at my peak, yeah. I don’t have the same energy I did when I was younger, but when I focus, it comes right back to me, I’m right there…in the moment, seizing it. Knute: I made a political hire one time and hired the friend of an executive. It was disastrous. It tore me down and it tore our team down. It took me a minimum of seven years to rebuild my career after that. But you know what? It strengthened me, too, and many of my other relationships, and it reminded me what my core values were. Professionally, it was a real setback for a very long time, but personally it refined me. Contributed a great deal to who I am today. I should have listened to my gut earlier, but that’s life. Another example of the importance of nuances, and EQ. Blake: And it was after that…fiasco, shall we say…that you pursued your PhD, right? Knute: Right. I got laid off, sent into early retirement. You give your heart and soul to an organization, but if they see no value, you’re gone. I’d learned my lesson the hard way about politics, and I’d also migrated through Kubler-Ross’s grieving model to the point of acceptance. I’d been in denial, negotiation, anger, depression, you name it. After acceptance, I went off to finish the dissertation for my PhD. Blake: I’ve met a lot of people who, after 2008-2010, went through similar valleys. Huge segments of the U.S. economy got leveled to the ground, and people either lost their career ladder, their future promotions, their employment, or maybe even their life savings. For Fireside readers who are going through career transitions, or valleys, what advice do you have? Knute: I’m happy to answer that, but as I do, let’s be thinking about the older employee, too, because I think it’s important to acknowledge that age discrimination is real. It’s just a fact. But in terms of what one can control, it goes back to what I described earlier: really understanding what ‘value’ you can bring to the organization. It’s a bit like flipping the interview on its head. Rather than trying to sell yourself, sell your value to the organization. “How can I enhance the organization?” An older candidate may worry, “I’ve only got 5-10 contributory years left,” but given the rate of turnover in most organizations, and how quickly people flit and flat from one role to another, 5-10 years is a long time! There’s a ton of value an older employee can bring in that amount of time, and because of their experience, the transfer of learning is very high and can be immediate. People need to have confidence in themselves, and be assertive about interviewing the company, not just getting interviewed. Both things need to occur. Robert DeNiro illustrated that very issue in his movie The Intern. Another big part of career upheaval is being willing to let go. And gosh, of so many things, from compensation, reputation, and stature to influence, power, and pride. The universe has a great habit of laying people bare and bringing them to rock bottom! There’s something very motivating and cleansing about starting at zero. It’s a clean slate, that’s for sure. Blake: You bet it is. The most painful downward spirals I’ve witnessed are the ones in which people don’t face reality, and won’t let that chip go that they’re holding in their hand. Blake: Is he taking your advice? Knute: Time will tell. He’s got to answer what makes him feel good, and where does he want to be financially. Blake: And if he makes some leap, he’ll need to learn to market himself. Knute: That’s a big deal these days. Our generations were trained to not sell yourself, but we have to do things to stand out from the crowd—to communicate our value and worth to current and future employers, to show them how we can enhance their organization. Blake: And politics? What advice do you have for those experiencing workplace politics? It’s coming up with surprising frequency during these interviews. Also, what is it about a given culture that allows or makes politics more common? And how can we reduce politics? Knute: Politics will never go away; it’s part of the human condition. The core of politics, to me as I see it, is power. People are political when they want to expand their power base. And change makes it worse, when some people gain and others lose. It comes back to being a straight shooter. I feel that if our mission is clear, and everyone’s role is clear, politics are less. Typically, when people have conflict with the mission, or experience ambiguity about their role—or others’—politics go up. Anything that clarifies mission, roles, and reduces conflict and ambiguity is helpful. I spend a lot of time with teams, and every time I talk about politics, I talk about these things, and power bases. Years ago, I worked with this really neat chemist who was so pissed off because his employer was changing the compensation plan and hadn’t discussed it with him prior! I said, “Come on, of course they care about you and your opinion, and you’ve got to know that they probably spent weeks or months sorting through this, and ultimately arrived at a more standardized solution in an effort to create parity as they scale all of the chemical labs in the organization. You can’t possibly resist it simply because your feelings are hurt, can you?” He felt he was losing something, and that his power base was shrinking—or was altogether ignored—so he’d opted to arch his back and resist. Politics begins with things like that all the time. Blake: He felt ignored, marginalized. Knute: Absolutely! One time, I had a boss who mandated me to take over a group and change it completely within six months. “If you don’t, you’re fired, and the entire team will be fired.” The first day I met with the team, I was open and honest about this mandate. I told them there was no negotiation, and that our mission and consequences of failure were crystal clear! I told them I would tolerate zero politics, and asked if they had any questions. I also mentioned that I was more than happy to have the VP come and meet with them if they needed clarification…none was needed. Knute: Some people like to find the edges, to push the envelope. You know, Bradford’s model of team development. Membership, subgrouping. It’s all about acquiring personal power to survive and advance. I think when you’re straightforward with people, even as a parent, and make it crystal clear about what you’ll tolerate—and won’t—it prevents a lot of behaviors and politics in the first place. Blake: In our final few minutes, any parting shots or words? Knute: We’ve covered a lot of terrain, and I’ve enjoyed the hell out of it. In regard to politics, let me just add “walk the talk.” Make your values clear, and live them. Clarify purpose, be a straight shooter, and remove anything or any barrier that interferes. Be a lifelong learner. Find a mentor. Find someone, anybody, who can be a friend to you, honest and open, no holds barred. Someone with whom you can discuss—in a non-judgmental way—your strategies and will help you think through the issues of the day. They don’t have to have all the answers; they just need to be a sounding board. Everyone needs a sounding board. Don’t manage from a distance; really get to know your people and your teams. Spend time with them. Get out and see them. Learn the triggers that cause their pain and dysfunction. I’ve learned more from being in the field, shoulder to shoulder with my people, than I ever learned riding a desk. Also, I’d tell people to get the chip off their shoulder. Don’t be heroic. Today’s world is so interrelated, so connected, so complex, so fast-paced…don’t be Superman. Be a facilitator. Teach people to inquire, to seek, to ask, to learn, to fish. As a leader or manager, we exist in service to process, to vision, to mission. These are the keys; we are simply in service of them, and we’ll come and go, while they’ll remain steadfast. Lastly, I’d encourage people to have faith. Have faith in themselves and in others. People will surprise you if you’ll let 'em. To learn the impetus behind Fireside, click here or here, and please join us again next Wednesday for another chat.